William Alvin "Bill" Jones, 74, of Saluda, N.C. passed away Thursday, April 11, 2019 at Baptist Easley Hospital. Born in Easley, Mr. Jones was the son of the late Martin Alvin and Gladys Nation Jones. He graduated from Easley High School in 1962, attended North Greenville College, and graduated from Central (Southern) Wesleyan College. He was a member of Saluda First Baptist Church. He served in the U.S. Army Reserves. 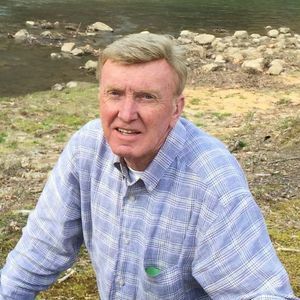 He retired as a manager of Investment Services, Owner/Manager of Sam Wyche Sports World, Owner/Manager of Outdoor Adventures Rafting Company and Founded Trophies Unlimited in Easley, S.C. He was a loving Husband, Father, Brother, and Grandfather. His devotion to his family was unparalleled. Surviving are his wife, Sherri E. Jones, of the home; two sons, Scott Jones (Leisa) of Beaufort, S.C. and Rusty Jones (Heather) of Easley; one sister, Faye Carmen Wheeler of Laurens; and three grandchildren, Isaiah, Riley, and Liam Jones. Funeral services will be 11:00 AM Saturday in the Chapel of Robinson Funeral Home-Downtown. Burial will follow in Westview Cemetery-Easley. The family will receive friends at Robinson Funeral Home-Downtown from 10:00 AM - 10:45 AM Saturday prior to the service. In lieu of flowers, memorials may be made to The Dream Center, P.O. Box 203, Easley, S.C. 29641. 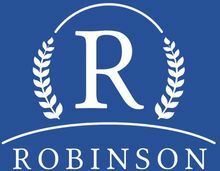 Condolences may be made online at www.RobinsonFuneralHomes.com or at Robinson Funeral Home-Downtown. Your inquiry has been forwarded to Robinson Funeral Home & Crematory - Downtown.